Aikatsu! – 174 | Mezashite! Do or do hot. There is no try! The Starlight Queen Cup begins. We’ve got three high intensity episodes in a row. Are you ready? Also, there will be no new episode next week. Two episodes, 175 and 176, will both air on the 17th. Prepare your hearts. EDIT: Yes we’re aware the new episode aired. Blame whoever runs the Aikatsu site. This says it’s a week late. I won’t be surprised if ep 175 is pushed back a week. March 11 is the 5 year anniversary of the Great Tohoku Earthquake and tsunami, and memorial events and TV specials are already popping up. So the March 10 episode could easily have been moved back for that. Just means Mezashite will have TWO episodes to sub in only one week’s time. It aired tonight lol. Weird. 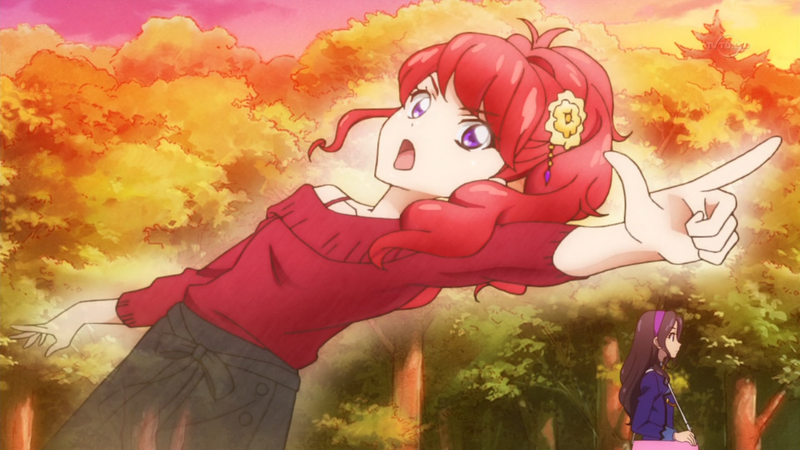 Don’t think so, 175 unexpectedly came out this week anyway, leaving 176, 177, and 178 (last episode before Aikatsu! Stars) for March 17, 24, and 31.